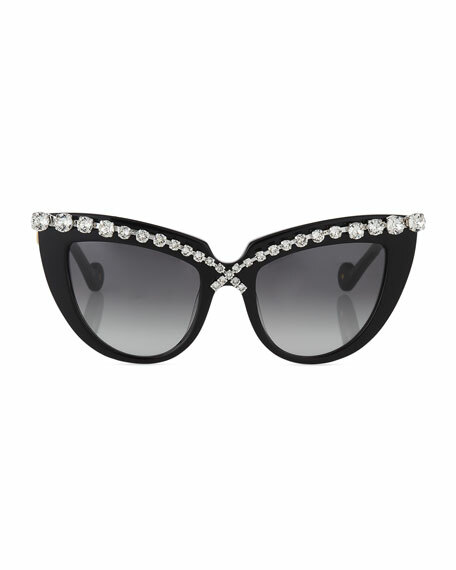 Anna-Karin Karlsson "Lusciousness" cat-eye sunglasses. 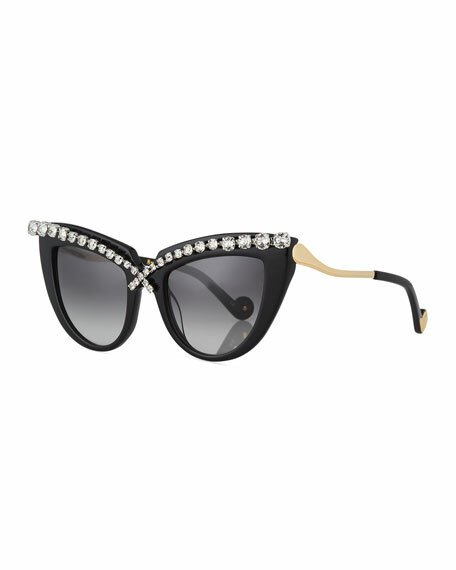 Cotton-based acetate frames with 24-karat gold-plated hardware. 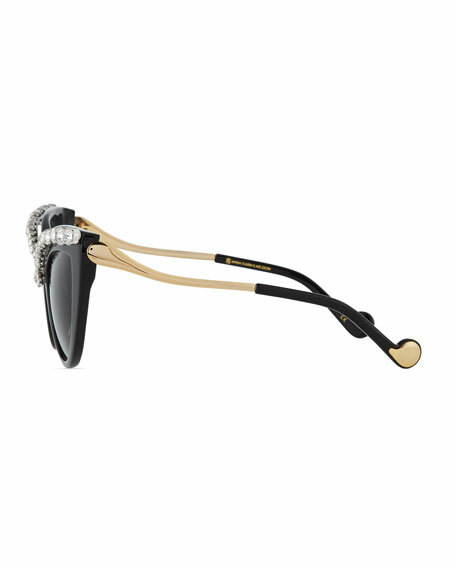 Handset Swarovski® crystal crisscross detail at brow. Curved temples with capped tips. For in-store inquiries, use sku #2396592.